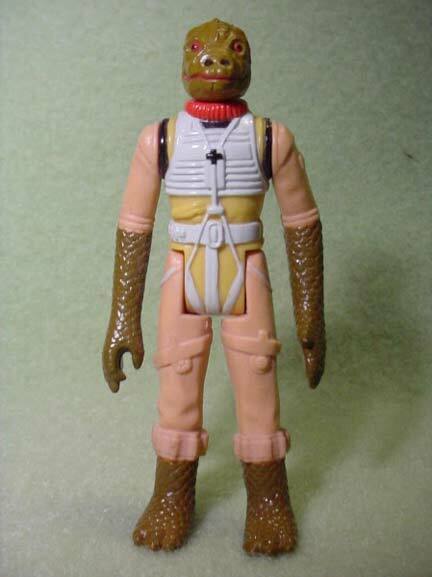 The prototype Bossk action figure seen here is referred to as a first shot. Early figures, such as this one, are utilized during the debugging of the steel production molds. As such, they are shot prior to the copyright and country of origin information's etching into the steel molds. The photo above illustrates the lack of copyright information on the figure. Paint details have been fully applied using the spray masks, so the figure mimics a production quality version fairly closely. The limbs and head both differ slightly in coloration from many other production figures Billy has compared it to.